Especially in the Far East. 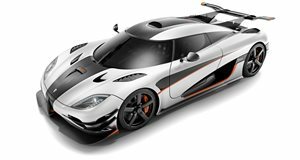 No matter where in the world you put a Koenigsegg One:1, it’s guaranteed to be a ferocious beast that commands respect. This is even the case in a car-crazed country like Japan. Japan is absolutely no stranger to seeing some insane cars and the country has developed a reputation for having an over-the-top car supercar culture. In fact, they even have an underground club of Lamborghini drivers who trick out their cars with ridiculous modifications. However, in spite of Japanese car fans pretty much having seen it all, the Koenigsegg One:1 is still a show stopper. The Swedish hypercar was recently spotted at Suzuka race track running some amazing laps around the circuit. We've already covered this from the driver's perspective, now see it from a spectator's point of view.